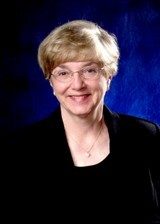 After an incredible career in nursing spanning 36 years and two countries, Dr. Ray accepted the title of professor emeritus with Florida Atlantic University in 2006, and is now focused on documenting her work on phenomenology, complex relational caring dynamics, transcultural caring, and the Theory of Bureaucratic Caring with her investigation colleague, Dr. Marian Turkel. Dr. Ray continues to serve as a doctoral dissertation adviser, and is available for limited teaching at other institutions. She served the U.S. during the Vietnam War, earning the rank of colonel with the U.S. Air Force, and officially retired from the nursing corps in 1999. Dr. Ray is a native Canadian, born in Hamilton, Ontario to Arthur William Anthony Ray and Elvera Caroline Ray. She was part of a large family, and after studying with St. Joseph’s Hospital School of Nursing in Hamilton she traveled to southern California to work in emergency, maternal, and critical care. In 1968 Dr. Ray completed a BSN with the University of Colorado, and went on to earn an MSN in 1969. Dr. Ray became a U.S. citizen during her study, and was commissioned as a first lieutenant with the U.S. Air Force, going on to study with the School of Aerospace Medicine and serving as a flight nurse. Later, she completed an MA in Anthropology from McMaster University, followed by a PhD in Nursing from the University of Utah and an honorary degree from Nevada State College. Dr. Ray met her husband James L. Droesbeke while at the University of Utah, though he sadly passed away from cancer in 2001. As a nursing practitioner and instructor, Dr. Ray focused on problem-based and simulated patient learning. Her work in political and cultural anthropology informed her later research in transcultural nursing, bringing together myriad aspects of the human experience into health care. Dr. Ray has been honored with numerous awards, notably a 2017 Lifetime Achievement Award from the University of Colorado College of Nursing Alumni Association, a 2007 Distinguished Alumna Award from the University of Utah, and a 2000 Federal Nursing Service Essay Award from the Association of Military Surgeons of the United States. Her research is documented in her book, “Transcultural Caring Dynamics in Nursing and Health Care,” as well as numerous medical publications. Dr. Ray enjoys music and travel.